WordPress has grown so big that about 24% of the websites use WordPress. 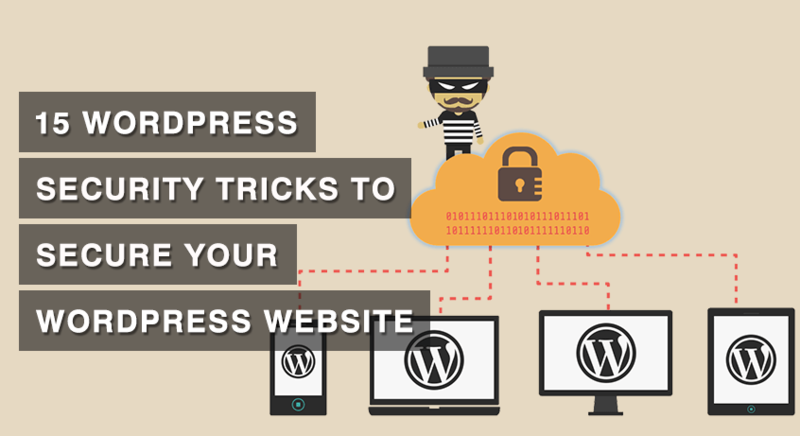 With the growing community, WordPress has been developed in local languages as well. Many languages write from Left to Right so many WordPress themes are made that way. But, languages like Arabic are different. 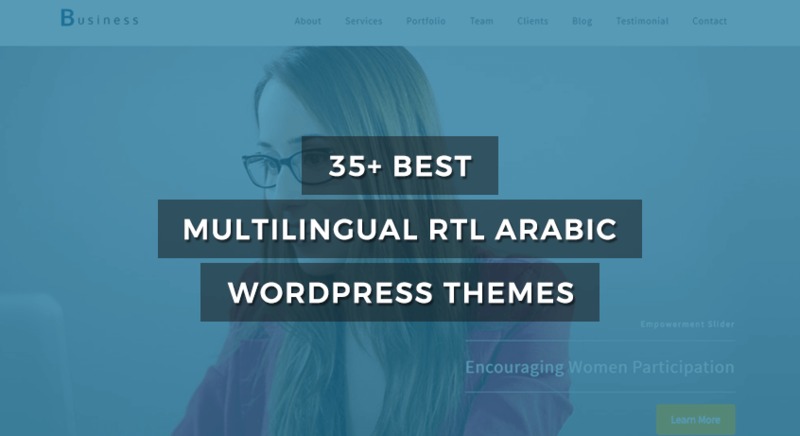 So, you might have to struggle to find a good WordPress theme that supports Arabic scripts, that is, supports Right to Left (RTL) languages. 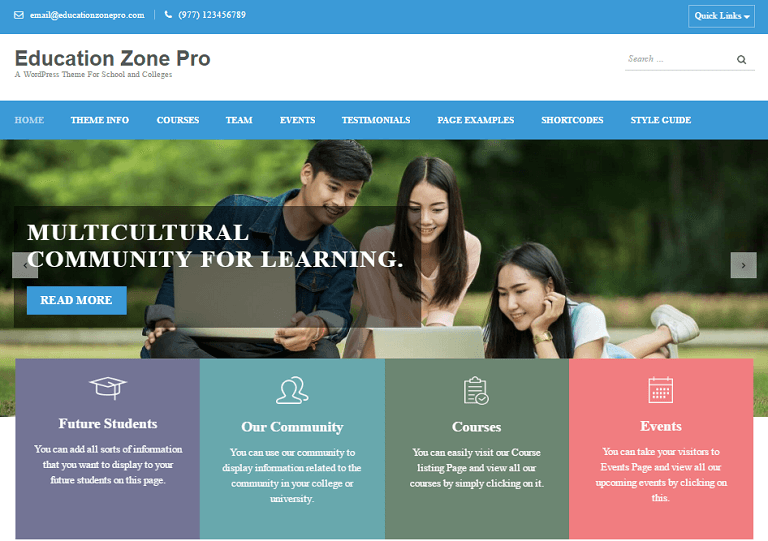 Therefore, we made this list of best multilingual WordPress themes that support RTL scripts so that you can spend your valuable time on your business. 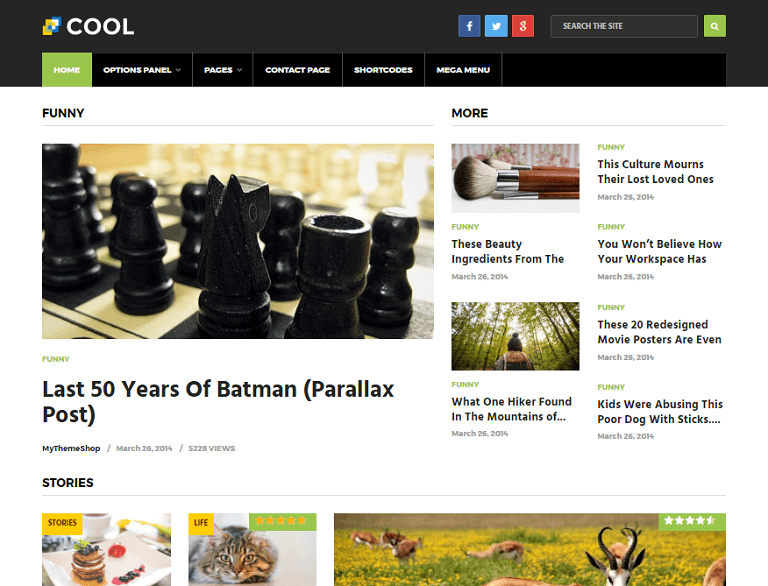 All the themes in this roundup are responsive to screen sizes and are well-coded. Also, they are speed optimized and SEO ready so that your WordPress website gets ranked on search engines like Google. 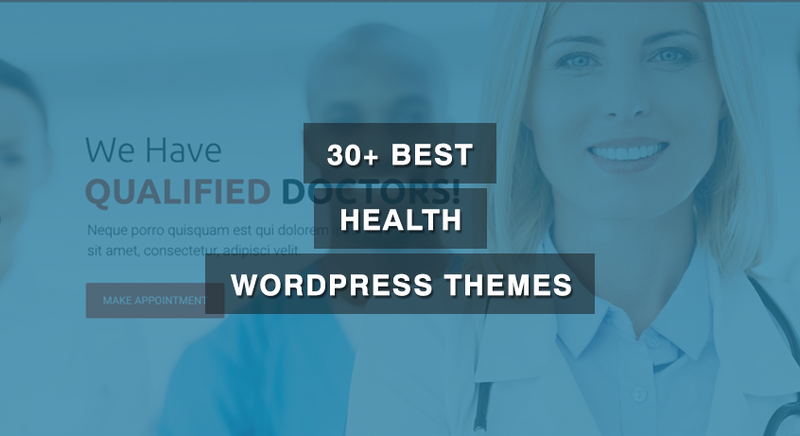 Before you purchase any of these WordPress themes, we recommend you to read how to choose the best WordPress theme and difference between free and premium themes so that you get what you pay for. 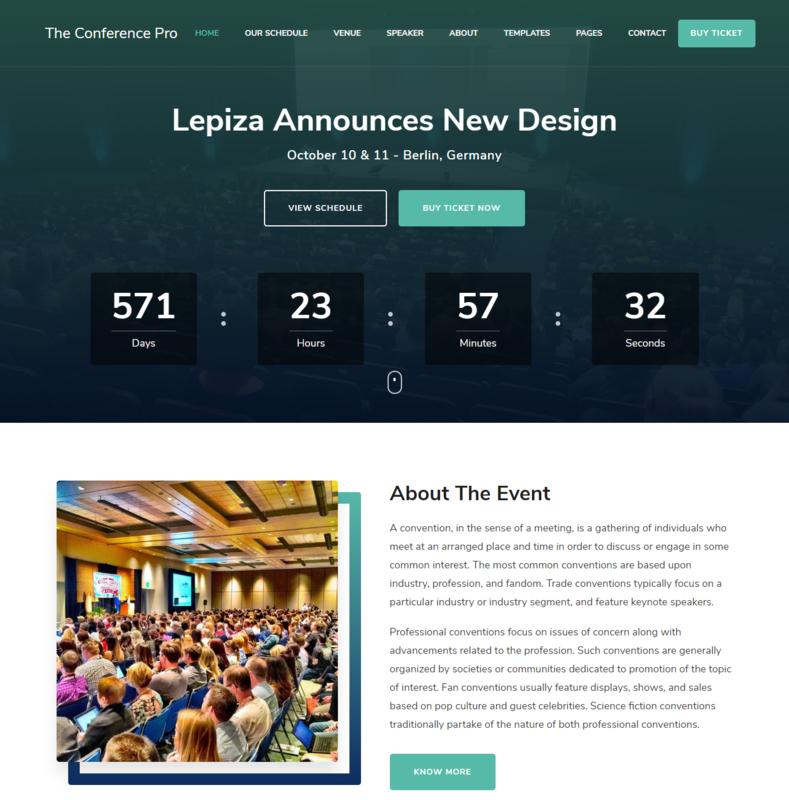 The Conference Pro is a professional WordPress theme for event and conference websites. This theme helps you promote an event or a conference by impressing the visitors with its appealing and engaging design. 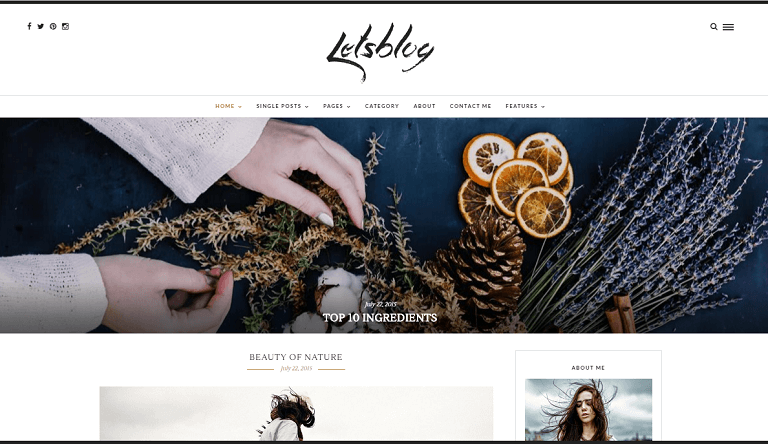 This theme comes with various header layouts and multiple customization options that allow you to personalize your website as per your desire. It helps you showcase the upcoming event timer, date, event stats, speakers of the events, and so on. It also features an easy-to-use, yet advanced, customizer to help you customize your website with a live preview. The Conference Pro is also a WooCommerce compatible theme which means you can sell the tickets to the event via your website. 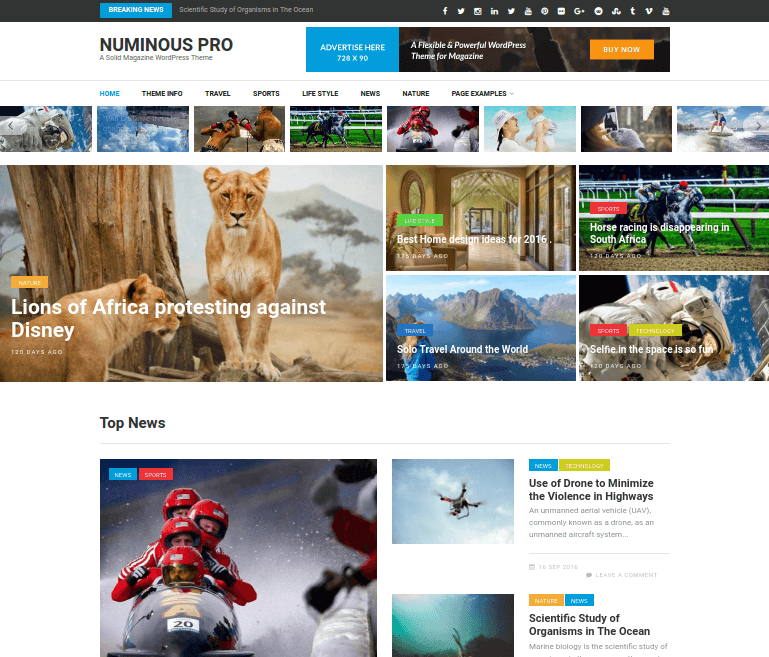 This theme is fully compatible with WPML & Polylang plugin to help you build a multilingual website. Furthermore, it RTL scripts such as Arabic to allow you to make a website in Right to Left scripts. You can also create a one-page website with The Conference Pro. Wit a one-page website you can include every aspect of your website on a single page so that visitors don’t have to go to other pages. It is also a speed and SEO optimized theme that boosts the ranking of your website in search engine results. You can also try out the free version of this theme if you want to try out the theme. 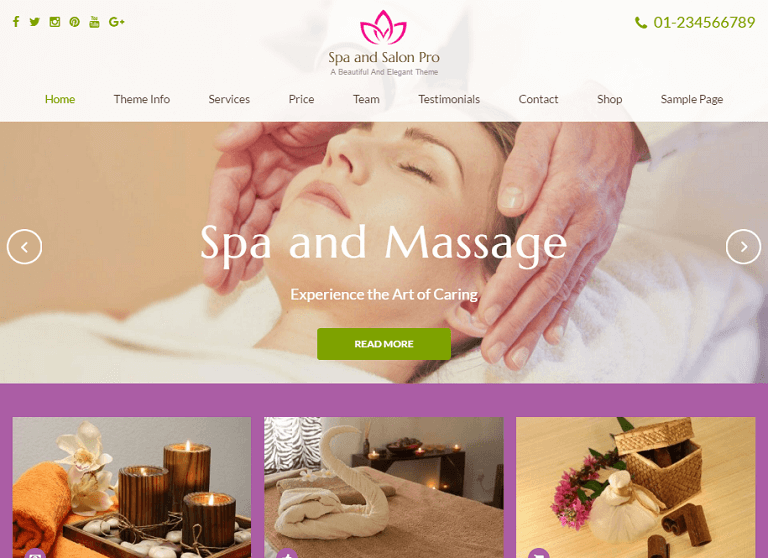 Blossom Spa Pro is a fully featured premium WordPress theme that helps you make a strong online presence of your spa, salon, or beauty care business. It is a mobile-friendly theme which displays smoothly on any screen sizes. This theme helps you showcase your services and products in a visually stunning way to attract more customers to your business’ doorstep. 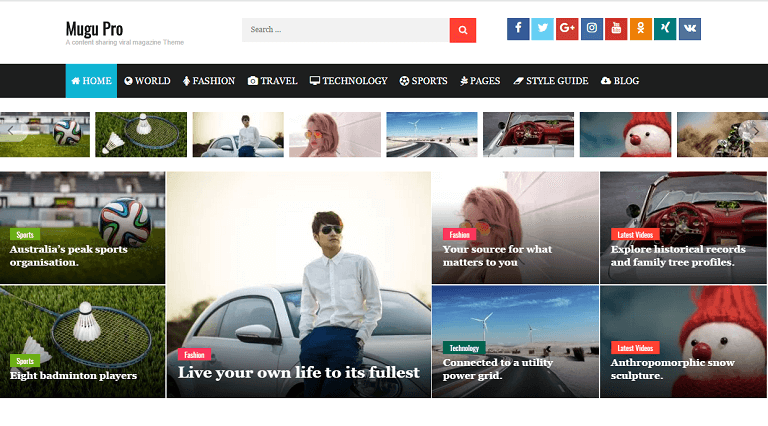 The homepage of this premium theme consists of 17 sortable sections to allow to you showcase every aspect of your business as per your desire. 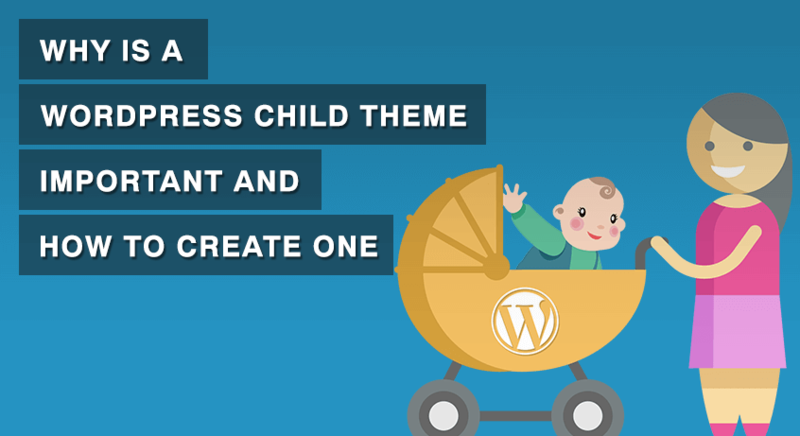 Also, this theme gives you the option to create a one-page website. 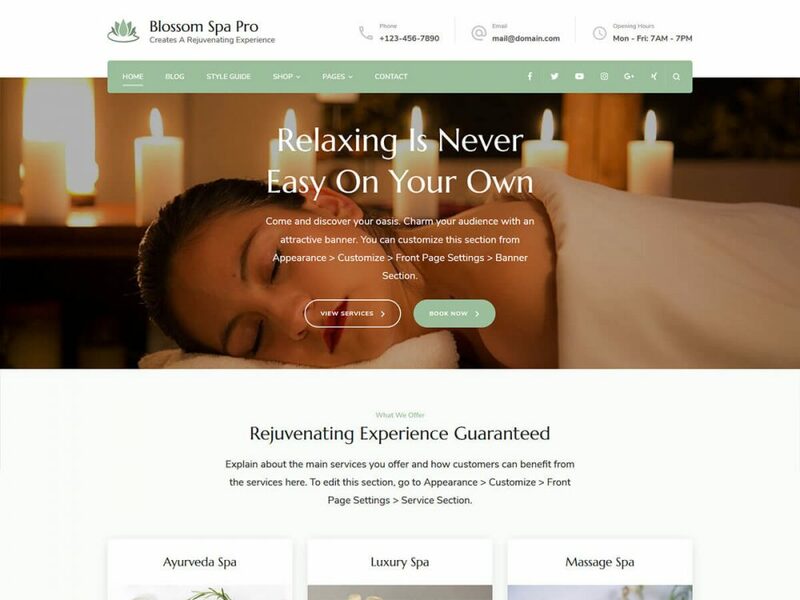 Blossom Spa Pro features a one-click demo import feature to help you kickstart your website without spending hours customizing it. 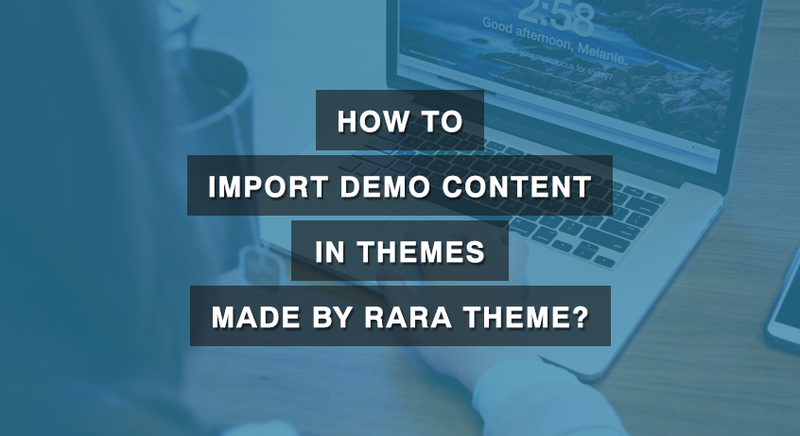 This theme supports WPML & Polylang plugin that helps you create a multilingual site to reach a wide range of audience. 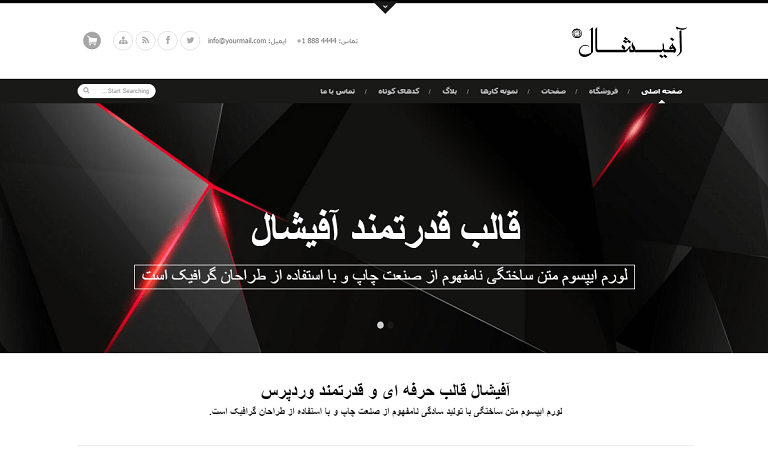 It is also RTL compatible which allows you to create a website in scripts like Arabic. 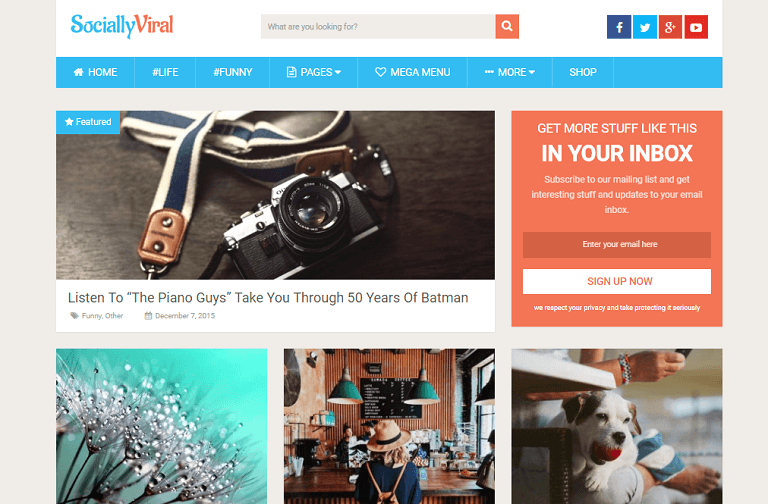 Furthermore, it is a WooCommerce compatible theme, so you can create an online store and sell products and services via your website. You can also try out the free version, Blossom Spa, of this theme if you want to try out the theme. You can also try the free version of the theme for free. 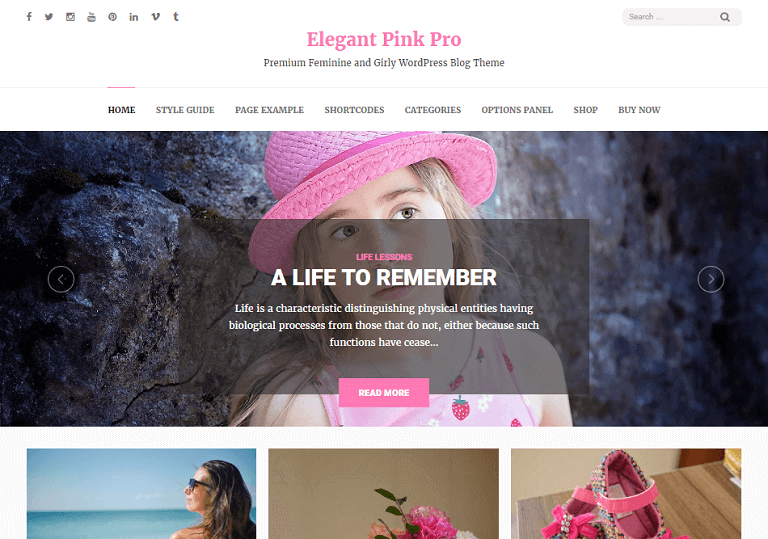 Elegant Pink Pro is a visually appealing feminine WordPress Theme which is perfect for content heavy blogs and magazine. 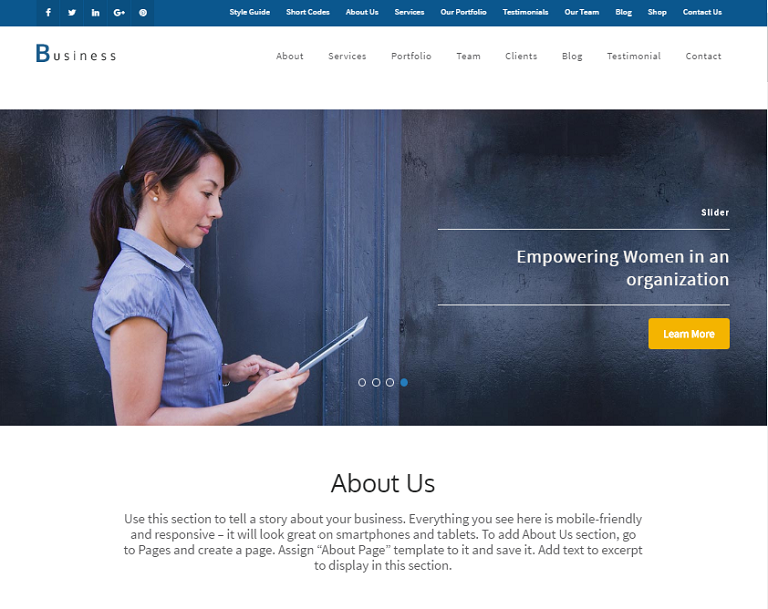 The theme offers full customization options with multiple layouts, navigations, headers, styles and a slew of top-end features to truly create an unique website. With the unique design and simple user interface of Elegant Pink Pro, you are sure to impress every type of visitors. 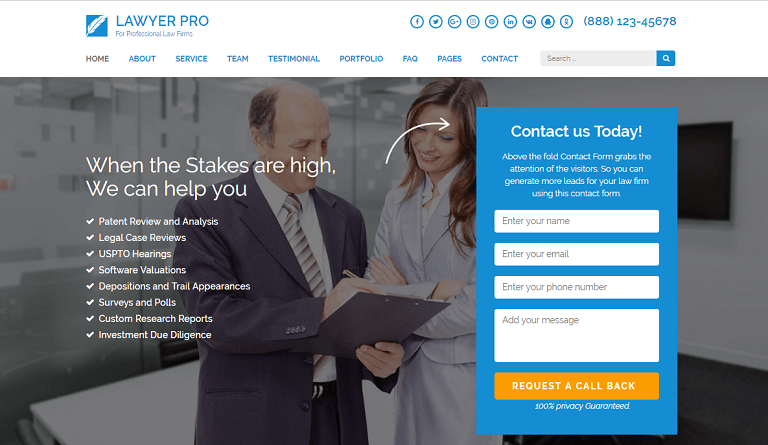 Lawyer Landing Page Pro is a professional WordPress theme for law firm, lawyers and consultant. The theme comes with a variety of header layouts and wide customization options to quickly and easily personalize your website as you desire. Whether you are an independent attorney looking to expand your clientele, a new or established legal firm venturing into the internet, the theme has all the tools, features, plugins and widgets to easily set up your fully functional professional website without the need to code. Benevolent Pro is a full-fledged solution for all charity, Non-profit organisation, church, donation or fund-raising websites. The theme comes with a variety of easy to use features to support your noble cause. The theme also supports Give WordPress plugin for donation and fundraising campaigns. Benevolent Pro’s sophisticated design and features help to easily communicate your message to your audience and help to make your mission successful by encouraging the them to take actions. 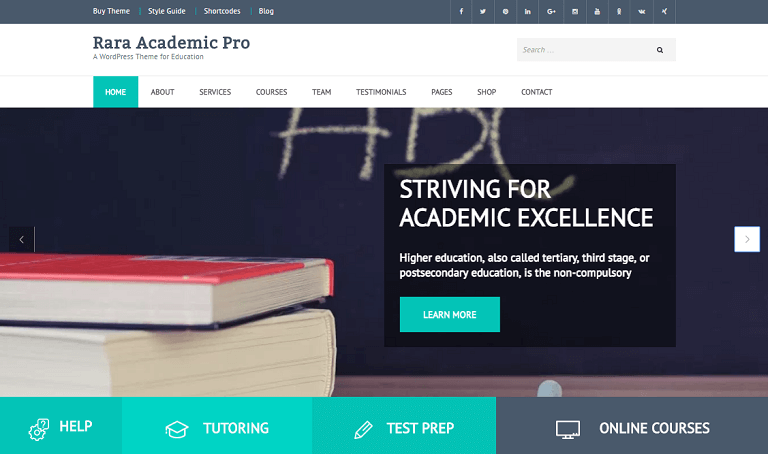 Rara Academic Pro is a beautiful WordPress theme made for educational web, Training Center, Courses hub, College, Academy, University, School and Kindergarten. 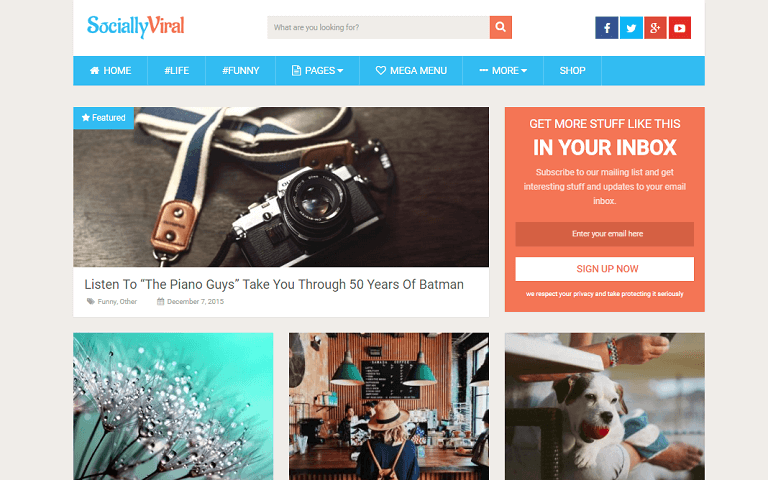 The theme is highly customizable and easy to use. It allows you to seamlessly build a professional looking website for your institution. The theme features plenty of room for educational information, custom post types, events and custom. With Divi, you can create your own unique website as you like it. 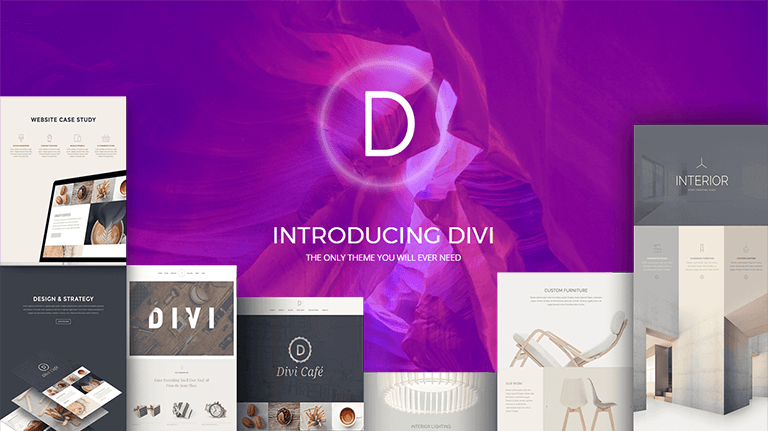 So, if you have an idea of how your want to present your website, Divi can help. With the philosophy of What You See Is What You Get, Divi lets you modify your website right from the front end. 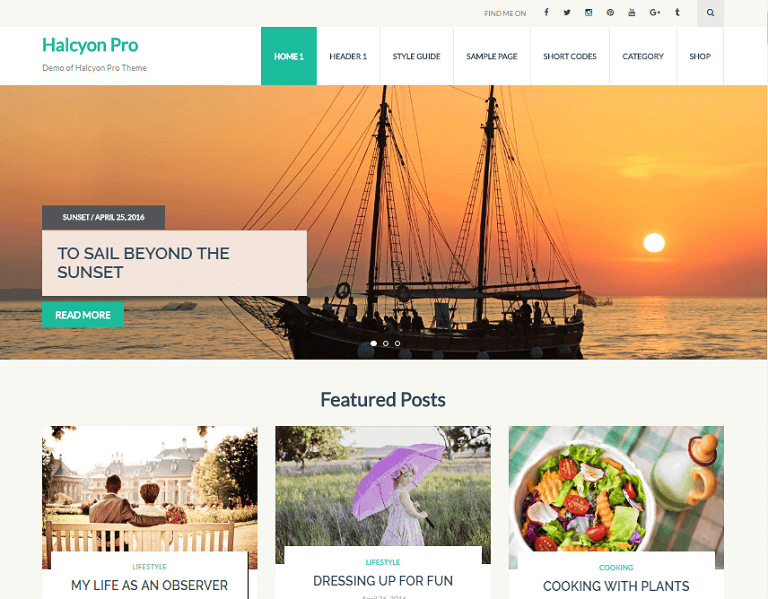 Travel Diaries Pro is a clean, responsive and lively theme suitable for travel blogs and websites. The theme is Search Engine Optimisation (SEO) to help you climb search engine ranking. 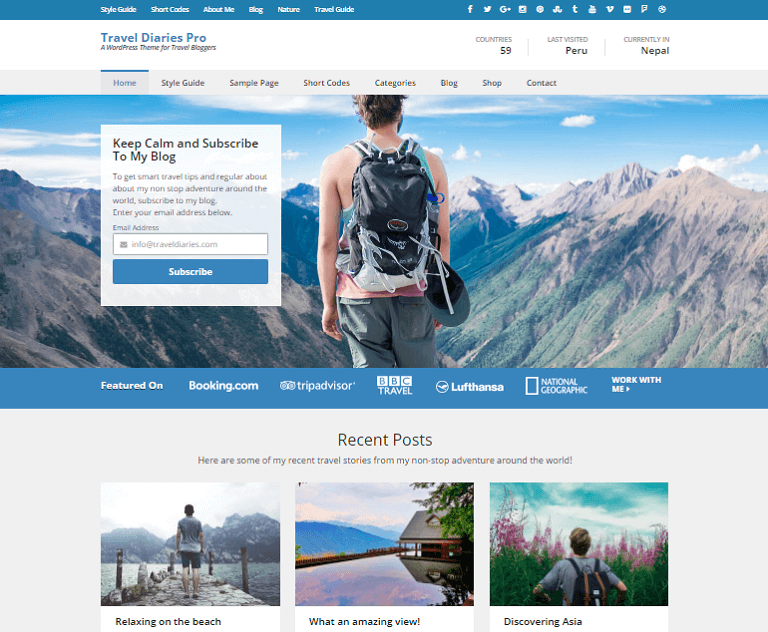 The theme comes with lots of easy to use features to help you grow your travel blog and website. 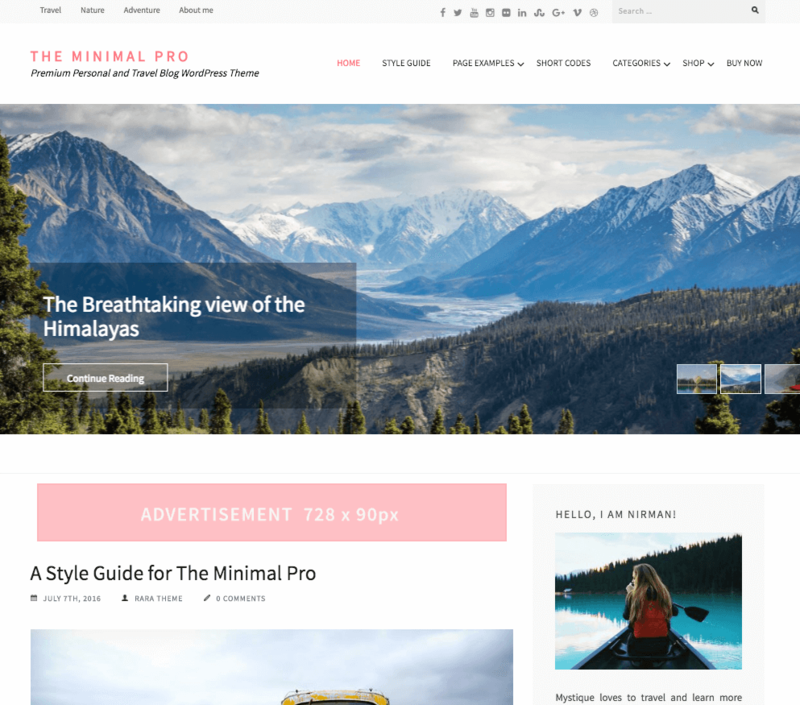 This theme is everything you need to create a successful travel website without touching a single line of code. 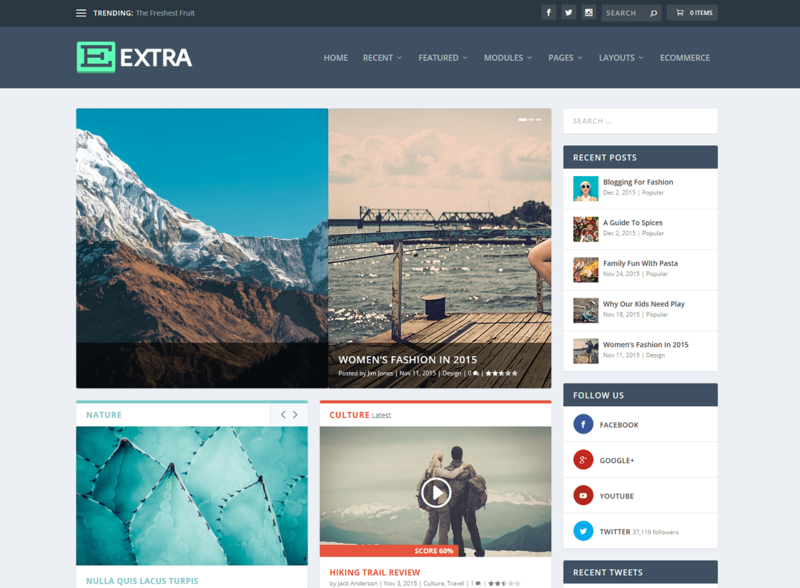 Extra is a magazine style WordPress theme that is powered by Divi builder. So, you can create and modify the layout of your website as per your need by just dragging and dropping. 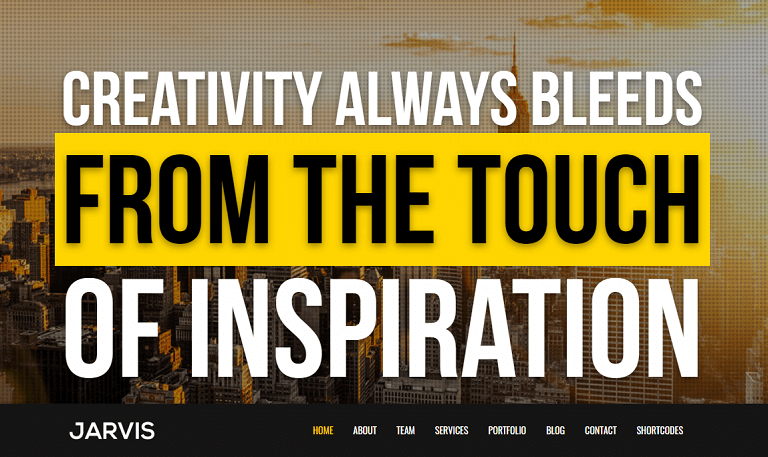 Agency is a beautiful theme where you can place your own style and effects on any section of any page on your website. 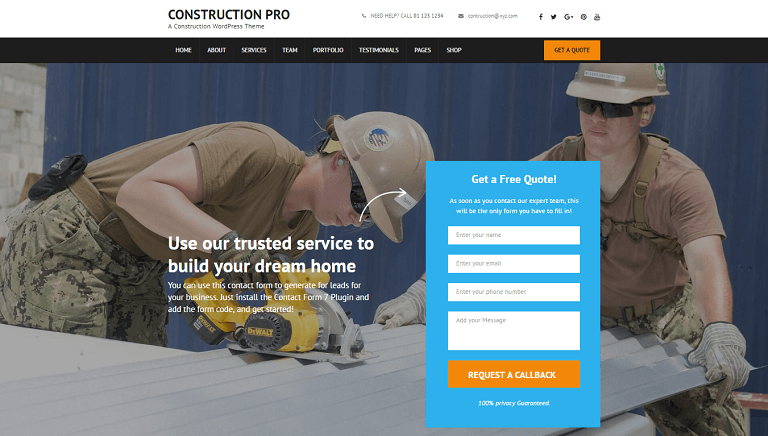 The theme is powered by Divi builder so you can easily modify your website from the front end by drag-and-drop method. 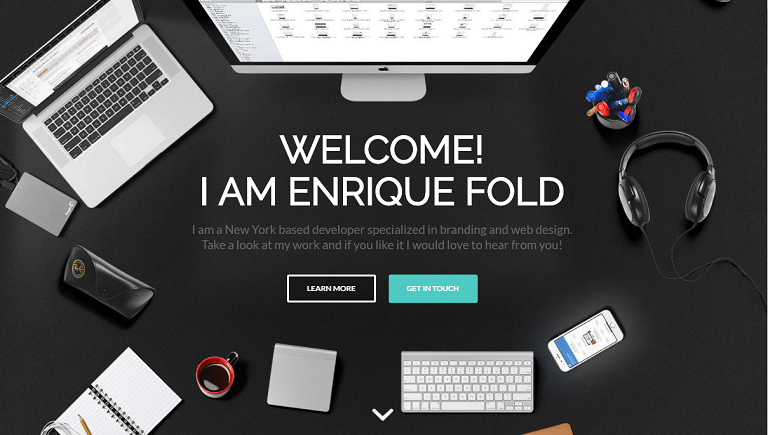 Agency is a very flexible theme suitable for any type of website. 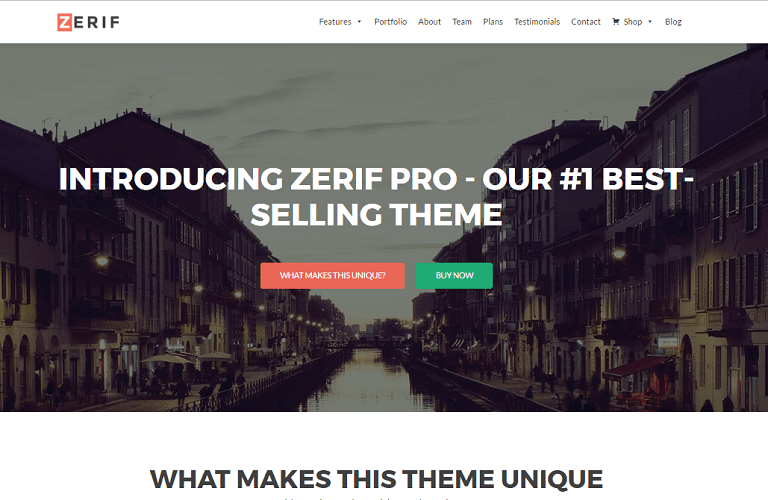 Zerif Pro is a multi-purpose business WordPress theme for creative agencies. It is flexible and allows you to create a website in any language you want. Official is a Clean and Corporate Friendly multi-purpose, multi-concept and multi-demo WordPress theme, It’s Fully Responsive with Powerful theme options, WooCommerce support, Shop ready with cart and checkout, Drag and Drop Page Builder, RTL Language support and WPML multilingual plugin support . 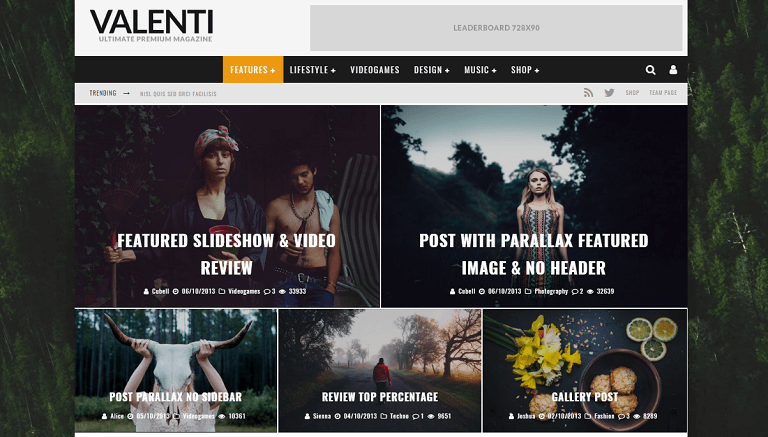 Valenti is a cutting-edge, feature-rich Wordpress premium HD (retina-ready) review magazine theme that is fully-responsive. Using the exclusive Valenti Drag & Drop Builder users can have fun creating a unique homepage and easily make modifications to it any time they wish. 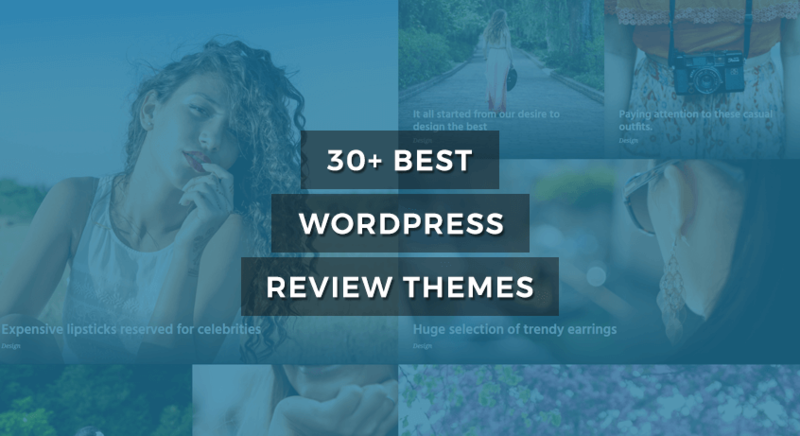 With Valenti’s powerful and integrated reviews system and widget, you can use Valenti fully as a review theme too. 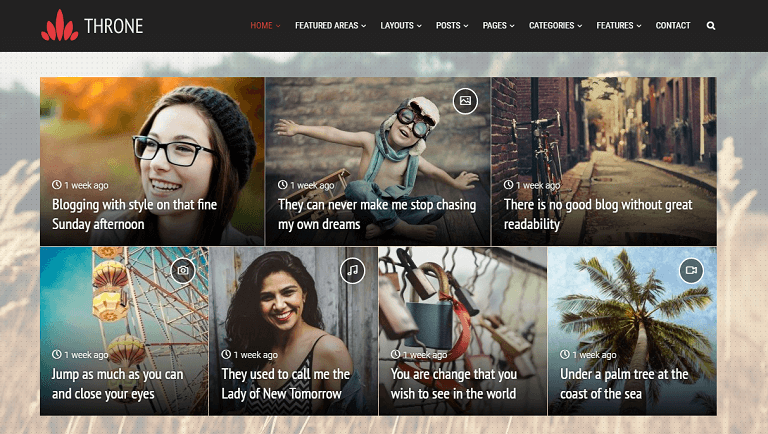 Lets Blog is a clean and minimal Wordpress theme for Blog and Magazine web site. 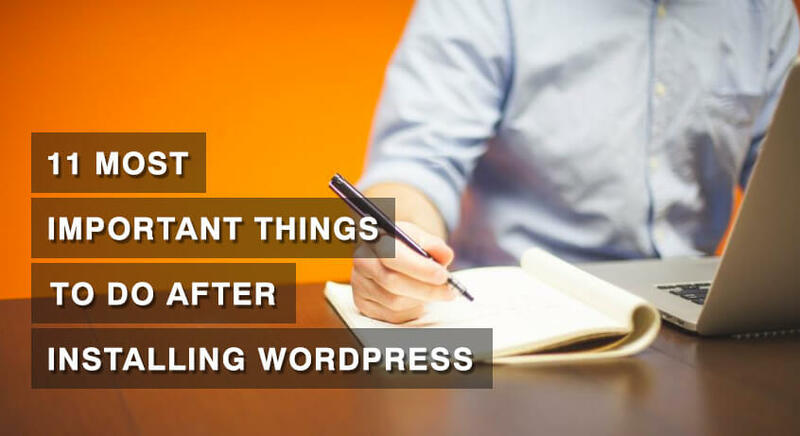 Built with the latest Wordpress technology. Lets Blog support responsive layout so it looks great on all devices. 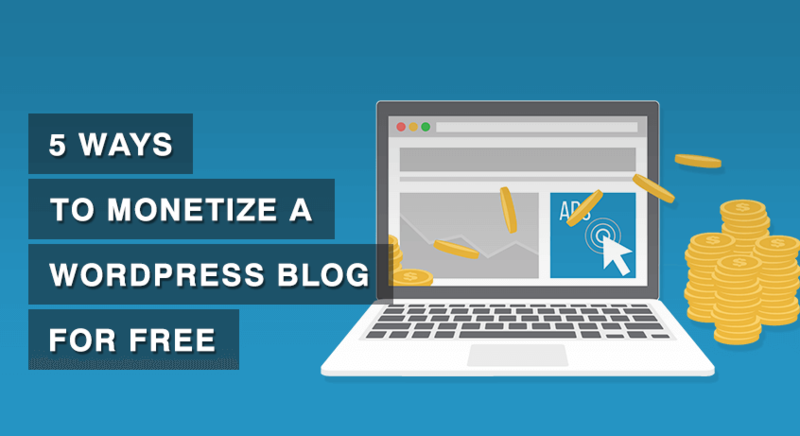 It has predefined styling for blog posts which can be imported with one click. 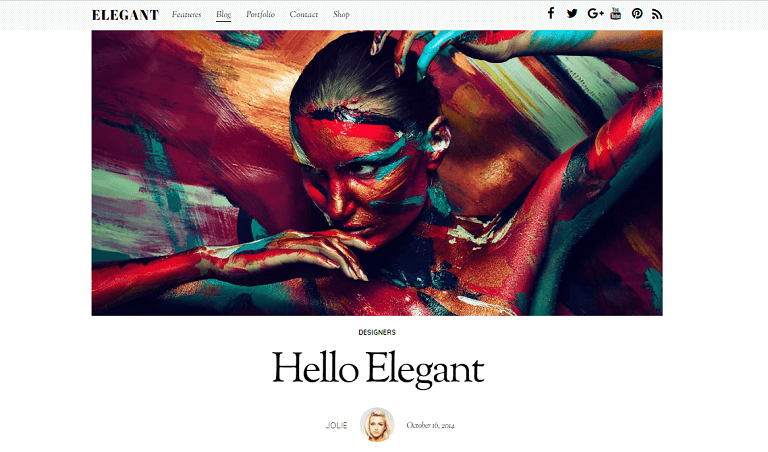 Luxury is a classy WordPress theme created for showcasing the finer things in life. Luxury is perfect for luxurious blogs and brands, high-end products, fashion, travel and the wedding industry. 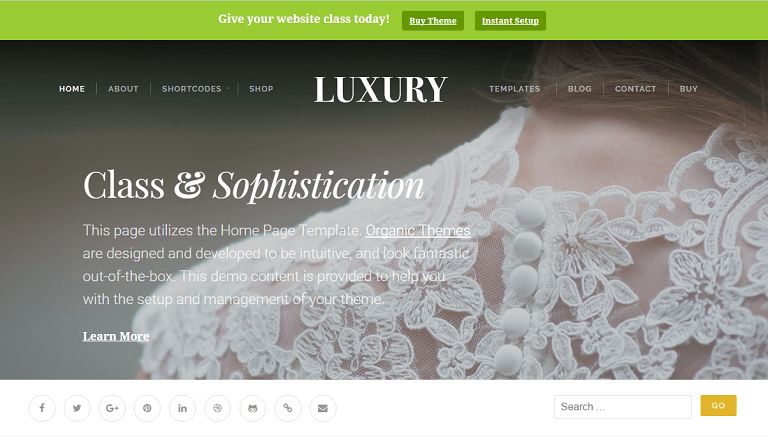 If an elegant presentation is a priority for your website, choose the Luxury Theme. Purpose is beautifully minimal and responsive theme designed with purpose. It give meaning to your business. The features of Purpose are subtle, yet profound. 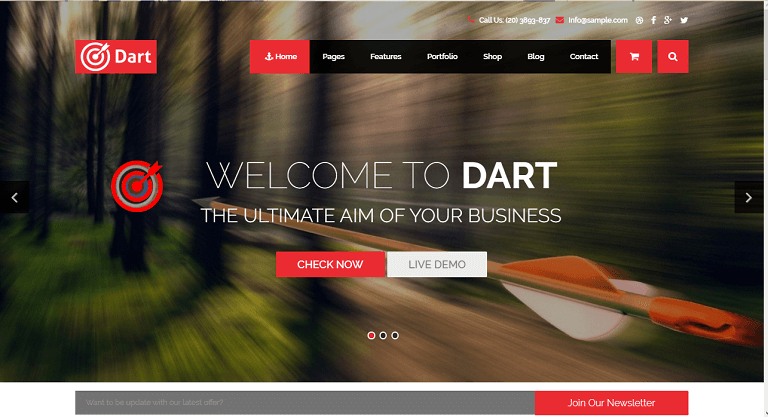 Dart is a creative, modern and powerful WordPress theme. It’s responsive and built upon the Twitter Bootstrap framework. Dart comes packed with powerful admin panel which in conjuction with the live customizer provides highest level of customization possibilities. 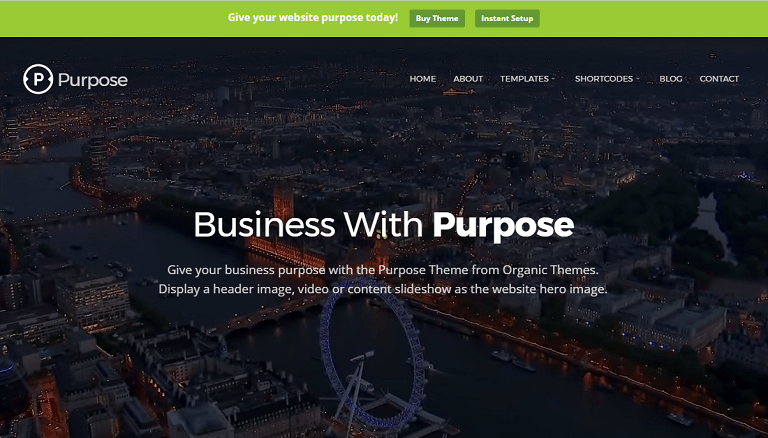 This theme is multi-purpose and can used for any kind of business, agency and startup companies. 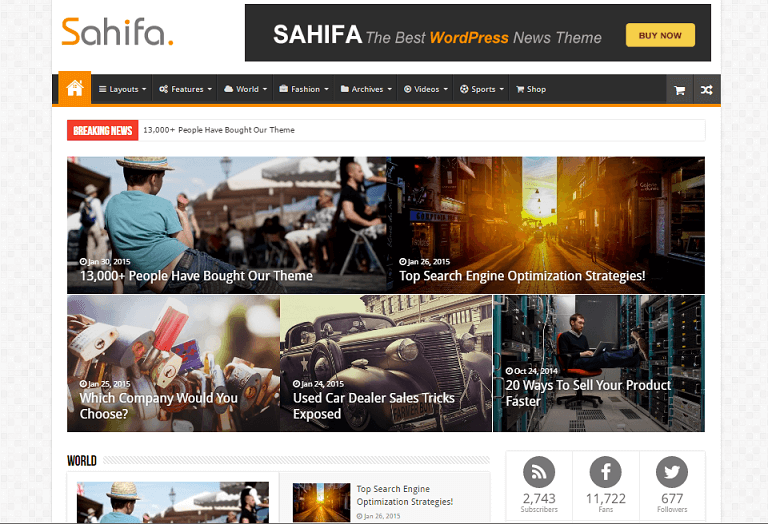 Sahifa News Theme is a clean, modern, user friendly, fast-loading, customizable, flexible, functional and fully responsive WordPress News, Magazine, Newspaper, and blog. 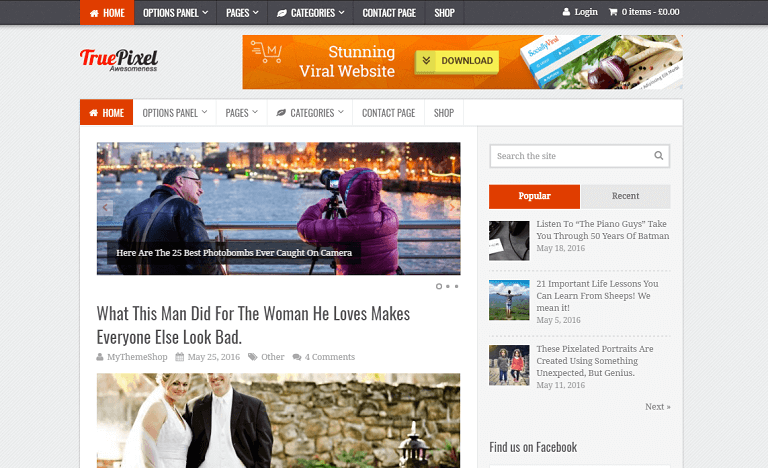 This amazing theme offers many incredible features, each added in order to enhance your web page. It manages to balance power and beauty, resulting in a high-quality browsing experience for all users. Many sites have to choose between complexity and accessibility, given that their layout cannot adapt to the diminutive screens of hand-held devices. 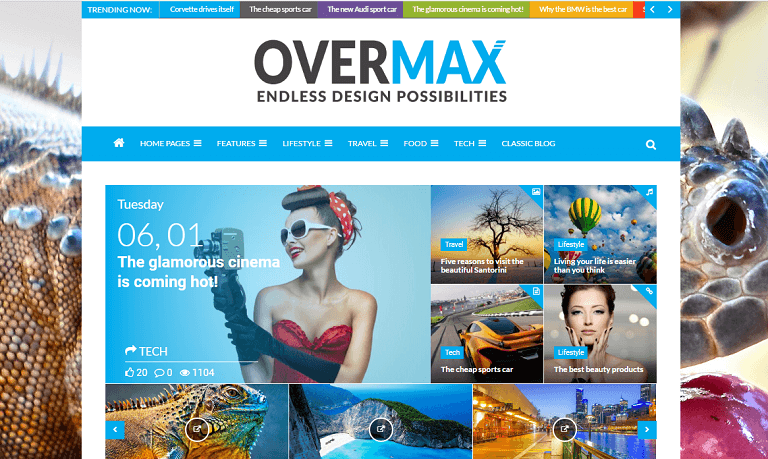 Overmax is a highly customizable WordPress theme, a magazine theme that can match your personal taste and can be an excellent choice for a news, review, newspaper, blog, agency, publishing or a magazine site. 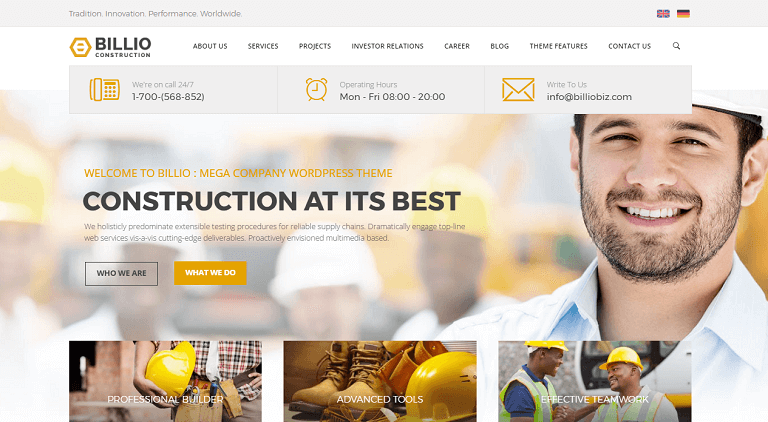 Billio is a company niche WordPress theme designed for companies who specialize in manufacturing, heavy equipment, construction, and spare parts sales—all in ONE package for the price of the steak! 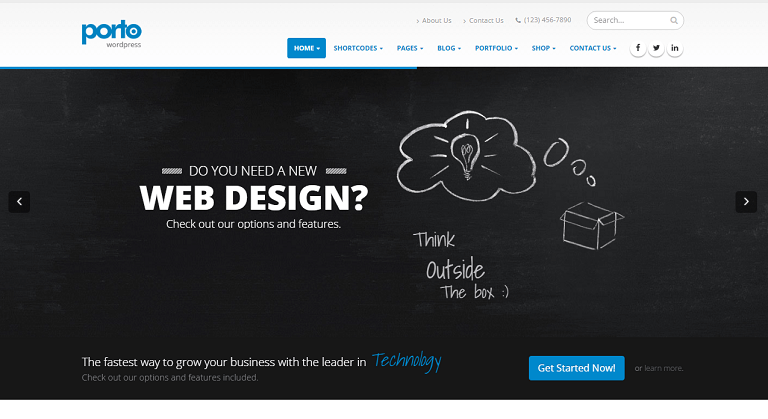 It is the only WordPress theme in the market that offers what a company needs! Robolist is feature rich, flexible premium directory WordPress theme which is the perfect platform for any type of listing websites. 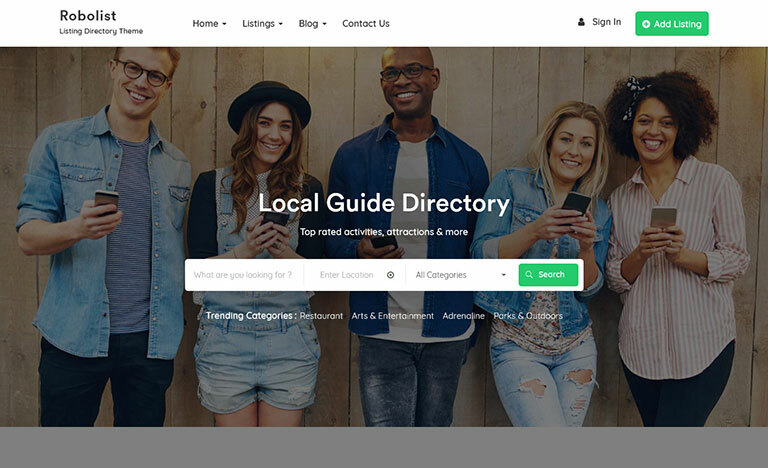 It comes integrated with the most popular Elementor Premium Page Builder plugin to let you create a professional listing directory website by just dragging and dropping the elements. 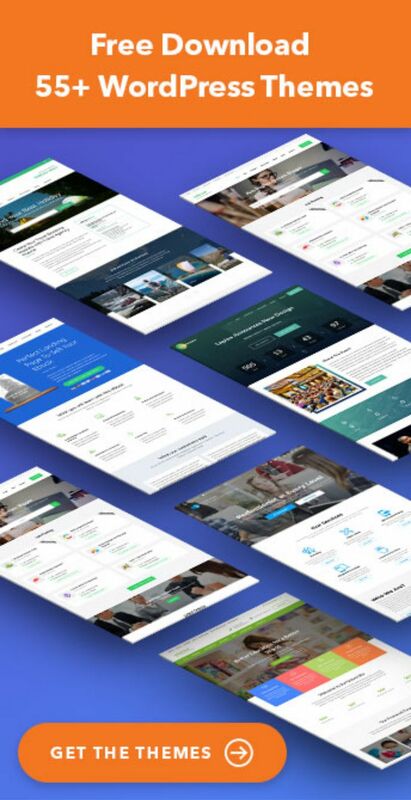 In addition to that, Robolist also offers custom built Elementor elements specifically for the theme, which help you create unique layouts to make sure your website stands out from others. 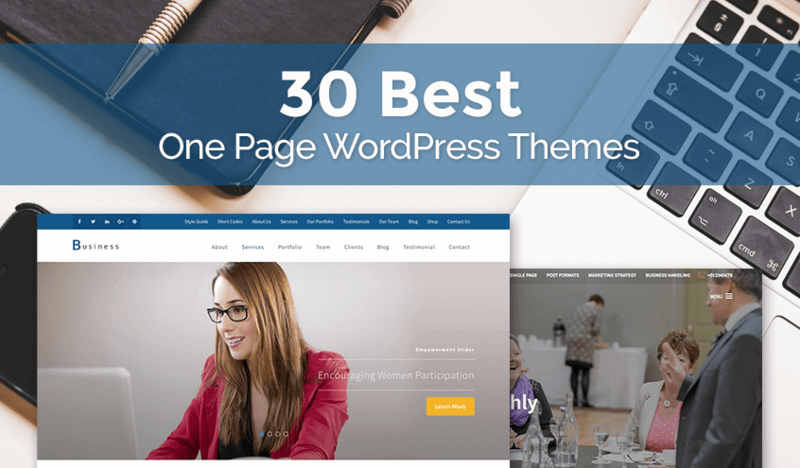 This theme is powered by WP Job Manager plugin, which means, you have the flexibility to extend it to do much more, with the add-ons that the plugin has to offer. 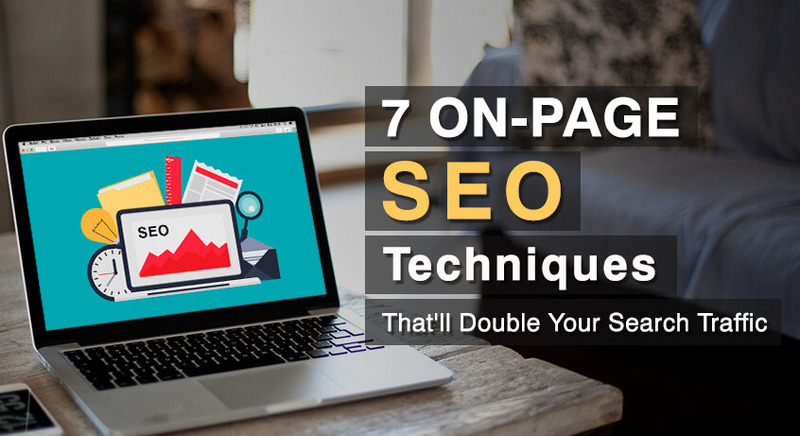 The listings are coded with semantics in mind, which means more love from Search engines like Google. It also comes with WC Paid listing plugin bundled, saving you more and letting you make money out of your listing website. 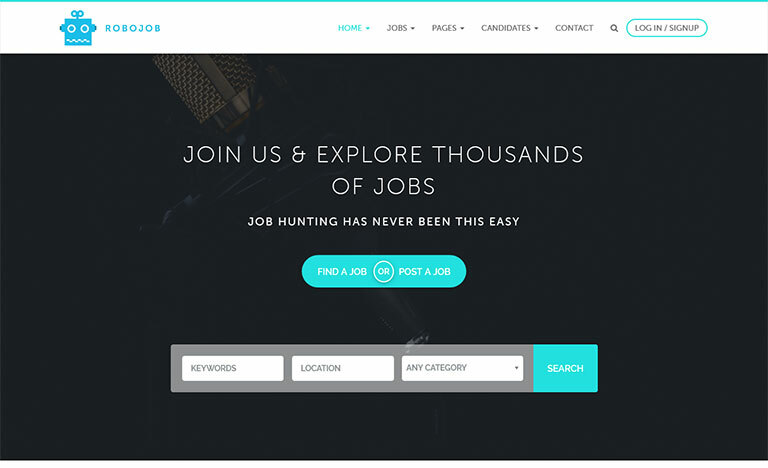 Robojob is a premium WordPress job board theme. Powered by WP Job Manager Plugin, it has robust extensions which empower you to create a niche focused or large job site. With Robojob premium theme it is now easier to get a job listing WordPress site up and running in just minutes. With the powerful one click demo importer, getting the site to look like the demo is a child’s play. Giving attention to the flexibility, Robojob has super advanced shortcodes. The shortcodes give you the flexibility to create layouts that are unique to your website. This will help you to increase the user engagement which raises the conversation rate and monetize your site’s revenue. 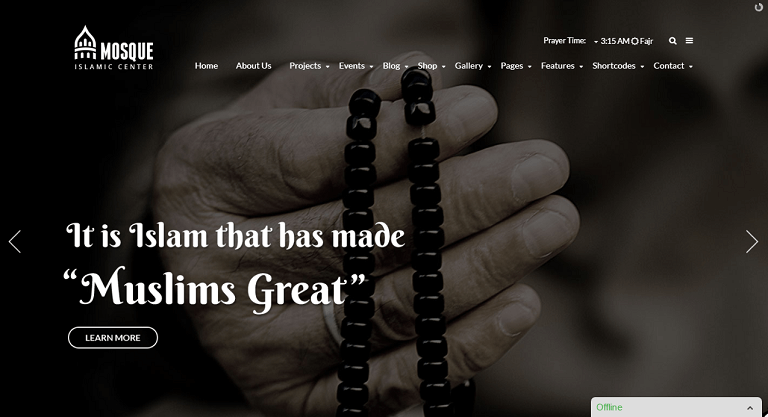 Nice collection of Arabic WordPress themes.